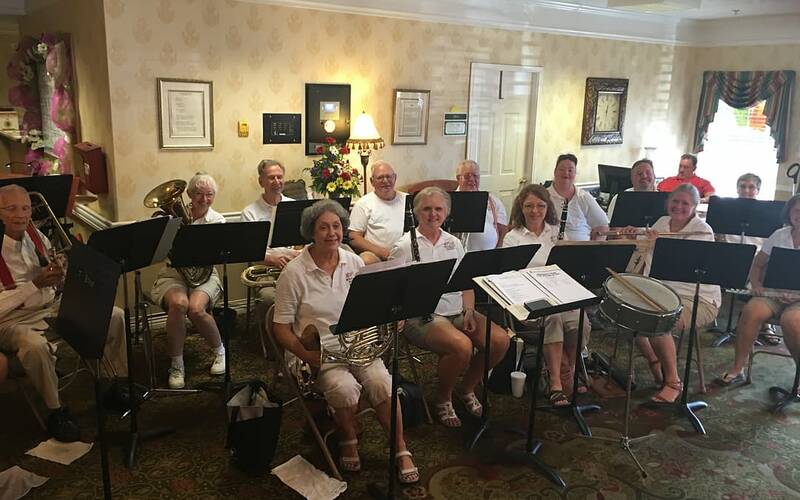 As part of the Life Enrichment Program, Morning Pointe of Athens invites musicians from a wide variety of genres to offer Music Therapy to the residents. As part of the Life Enrichment Program, the Morning Pointe of Athens takes part in fun annual observances to make each resident feel special. The Etowah Town Band, directed by Ray Calfee, gave a pre-Independence Day performance at Morning Pointe of Athens.